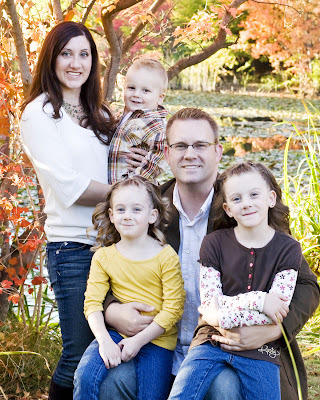 Musical Moments for LDS Families. A resource for families and members of the Church of Jesus Christ of Latter Day Saints to utilize music more effectively at home, and in their callings. Even though the trees are up and the Christmas Season is in full swing, I haven't been feeling that Christmas spirit much. It has been disappointing because I LOVE this time of year. I usually start planning my Christmas tree themes (yes, there are multiple!) in about April! But this year I am struggling with early pregnancy fatigue, nausea, headaches, and moodiness! Not exactly the recipe for a great Christmas. But that all changed this morning as our family attended our ward Christmas party. It was a casual brunch and singalong. But instead of just having piano accompaniment, we also had two amazing trumpeters play along. It added so much fun, flare, and festiveness that suddenly I was FILLED with the Christmas spirit! Singing my favorite carols with the cutest 2 1/2 in the world on my lap, husband playing the trumpet, and voices of friends and neighbors all around me. It was magical. I met this musical man in black 12 years ago at Ricks College, where we were both studying music. And now, 3 1/2 kids later I still get butterflies hearing him play! I am now going to rally that this become a yearly tradition. It was such a great way to not only liven up the party, but highlight some talents that can't be shown off in traditional meetings. A big thumbs up to our ward music chair! Does your house need a little more LOVE? Mine sure does! My kids are bickering SO much lately, and it is driving me crazy. So I decided it was time for a little musical intervention. Sunday I taught my family the hymn "Love at Home". We discussed our need to show more love. We set a goal of starting and ending each day this week by singing this song. We snuggled, and cuddled, and hugged, and kissed, and then I played a TRICK on my kids. I started conditioning them to have an autogenic response to this song. By showing them so much love while we sing this song, they will start to associate those loving feelings to the song. Meaning that in the future I can pull out this hymn when things get rough, and use it as a quick and painless way to get the cranky out and the love back in. Gospel principles, music, and love make us a happy family! Boise families, you are in luck! Two great concerts are coming up very soon, and are the perfect place to start exposing your tweens and teens to great music. 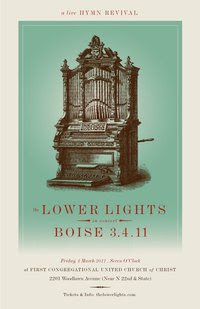 The first one is March 4th, and is a group called the Lower Lights. This is a non-denominational concert, but has many LDS artists in the group. They often tour firesides, and this concert will include old spirituals and hymns. It is sure to be amazing! Sarah Sample is one of the musicians, and she is also a music therapist (like me!) It will be worth it for you to attend this concert just to see her. She has won prestigious awards in her genre, and has a heart of gold. During our last road trip, her CD was the perfect soundtrack. I just love her! This is a ticketed event, and you can get your tickets here. 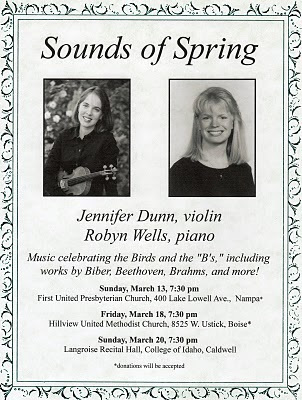 The second concert will be given by none other than the amazing violinist, Jennifer Dunn. You probably recognize her name from other posts I have done on her. Here is a little secret..... I have never liked the violin. It is so hard to play it well that it typically grates on my ears. But that all changed when Jenn entered my life. :) She is soooo good, and I never miss an opportunity to hear her play. She was recently chosen to put on a recital in McCall, and will be performing this same recital in the Boise area 3 separate times. It is so important to expose our children to GOOD music. They are bombarded with sub-par music all the time. Their appreciation for good music can only grow if they get to hear it! So load up your kids for a family date night. Or if your kids are too young, spend the evening cuddling your spouse and listening to some great tunes. Either way, these shows are sure to delight! Why do we have the Hymns? Contrary to popular belief, they aren't just to fill up some time while all the late comers arrive to sacrament meeting. The First Presidency Preface to the hymn book says that all the hymns have been selected to meet the varied needs of the members of the church. Reading through this, I found over 20 needs mentioned. TWENTY! So let me ask you... are you using the hymns to meet your needs and the needs of your family? It really does make you look and listen to these sacred songs differently when you think of them as meeting a specific need. The more we understand how the hymns can bless our lives, the more our testimony of good music will grow and the more we will incorporate uplifting music into our lives. FHE: If your kids can read, have them read through the preface and list all the needs they can find mentioned inside. Ask them which needs they have had met through music. Then of course, take some time to sing a hymn or two! As a family, indentify a need that needs to be met. Choose a hymn that you will sing each day for one week to help meet this need. "Teach your children to love the hymns. Sing them on the Sabbath, in home evening, during scripture study, at prayer time. Sing as you work, as you play, and as you travel together. Sing hymns as lullabies to build faith and testimony in your young ones." As a mom, how do you keep up with your talents and skills? It is soooo hard. Like most women, I have let my talents slide as I gear most of my attention to raising my young family. But recently I have been inspired by a good friend of mine. Jen is an excellent violinist. And even though she is raising three young children, just like me, she manages to find time to practice and perform, unlike me. She recently invited a group of friends over for a house concert, and it was such a great night! We started the evening out with some delicious Spanish food, then she played a selection of Spanish music. It was wonderful! It was a great date night, a fun time to mingle with friends, and a wonderful recital! Why are we not doing more activities like this? It is such a good way to enjoy time with friends and family, and keep up our skills. So we are now planning a Christmas recital together. Nothing big. It will be held in her home, and each family will prepare some songs to perform for the rest of the group. Not exactly the crowds I used to perform for, but it will at least get me motivated to spiff my act up a bit! far away, in the west. there the Saints will be blessed. We'll make the air with music ring, shout praises to our God and kind. I have always felt that I would not have what it takes to be a pioneer. I am in total awe of them.... Giving up everthing with the faith that there was a Promised Land waiting for them. This hymn gives us a glimpse into the thoughts, feelings, and faith of these amazing pioneers. I am sure it was sung often as they made their journey. The pioneers used music to raise their spirits, pass the time, share and strengthen their testimonies, teach their children, for entertainment, and for motivation. I wondered how I would have felt singing this as a pioneer. Would I have so much faith that I would whole-heartedly believe the words I was singing? Would I have lost my faith, but had it renewed by the song? Or would I be hanging on to my last thread of faith? It is possible that the pioneers experienced all of these feelings. Then I pictured what it must have been like to sing these words for the first time in the Promised Land. With a testimony burning that they had been delivered, and that it really was worth all the sacrifice. It brings tears to my eyes to imagine that moment. For my music spot in Relief Society yesterday I shared these thoughts and had the women sing verse 3. Tears were definitely shed and testimonies were strengthened. I also think this could be easily adapted for a Family Home evening. This hymn can be a great teaching tool for your children! In a way, music can act like an insurance policy for your brain. Considering that the left side of the brain does more of our computing, memory and logic; and our right side of the brain is more creative, thoughtful and emotional (musical!). When there is damage to the left side of the brain (due to things like normal aging, stroke, alzheimer's, and possibly a bad teenage attitude), we can often tap into the left side through the right side with the use of music. Parents and teachers alike have known forever that kids learn and remember better when learning is set to music. Their left side of the brain will work on remembering whatever subject is being taught. The right side of the brain will master the music AND remember the lyrics, and any thoughts or feelings associated with the music. By combining teaching with music, the child now has two memory centers in the brain to draw information from. The music not only makes the learning more fun and interesting, but it makes recall quicker and easier. Thus building confidence in the child, which will lead to better learning in the future as well. You never know, the right song played at the right time just might remind your husband how crazy he is about you! Or remind your teenager that he/she really does have a testimony. It could bring back memories of your child's favorite family vacation, and how much fun it is to be a part of your family. One thing I do know is, if you don't use music, it absolutely won't do any of these things. Your home, heart, and brain must be full of music. FHE and car rides should be filled with songs that strengthen testimony, build relationships, and invite fun. Music WILL remind us how we felt during a certain experience or time of life. Give your family a soundtrack to their memories, so they can listen and always remember how you touched their life. I would dare say that the typical American family today sings much less than families of other cultures. Remember that the main goal of music isn't a perfect performance. (It is if you are a professional musician, and if you are, great!) But music is meant to be enjoyed by all people, despite ability. In home and church use, music is for your personal benefit, not to benefit an audience. Just a generation or two ago, families still seemed to use music much more than they do today. I remember visiting my great grandma when I was around 10 to 12 years old. Her mind was deteriorating, and visits to her usually consisted of us all sitting around her and talking around her. It was Christmas, so my sister and I decided to sing her a Christmas carol. Several minutes later we suddenly heard grandma sing "JINGLE BELLS, JINGLE BELLS!". We cheered when she finished, and then enjoyed about 30 more minutes of her concert. I couldn't remember ever hearing her voice before, or seeing that sparkle in her eye before. And like I stated above, I don't remember all the songs she sang that day... but I sure do remember how I felt. I am sure that we only had a small glimpse of what she was experiencing, as music opened up old pathways of her mind that had been closed for years. I was blessed to marry into a musical family, with an abundance of old sheet music. If you are looking for that old song that your family used to sing, let me know. I'd love to try and find it for you! Devoted wife, stay at home mother of 3, music therapist, doula, and now zumba instructor! Do I need more to do?! Couldn't be happier! "Those who choose, conduct, present, and accompany the music may influence the spirit of reverence in our meetings more than a speaker does."